We are thrilled to announce we’ve won a few honors in the Shorty Awards, which recognizes the most influential, popular, and culturally relevant brands, organizations, agencies, campaigns and influencers across social media. Our work for Audi’s partnership with “Spider-Man: Homecoming” was named best in the Auto category and was also named Finalist and Audience Favorite in the Entertainment category. 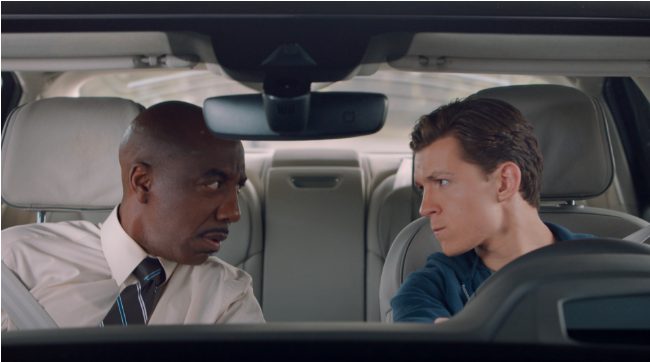 Our winning short film, “Driver’s Test,” features a 15-year-old Peter Parker about to take his driver’s test -- but he gets a little help from Audi’s driver-assistance technology, letting him stay one step ahead of his driving instructor, a new character we created for the video, played by comedian J.B. Smoove. Millions of views came from 30 countries in addition to the U.S., helping to push "Spider-Man: Homecoming" to the top 5 of the international box office for 2017. Lauded as "so authentic it felt like a deleted scene" by Marvel, and Audi fans alike, the film garnered 159,000 likes on Youtube, making it the #1 most liked piece of content Audi has ever created. For more on our strategy and execution, visit the entry on the Shorty Awards site. Also for Audi, we won a Gold in the Emerging Platform category for “Think Faster - World’s Fastest AMA.” We were also a Finalist in the Auto - Online category. For the launch of Audi Sport in the U.S., we had to demonstrate performance in a visceral way that went beyond traditional car advertising. The perfect platform was Reddit. Why? It already has a native beloved format -- the Reddit Ask Me Anything -- and we could innovate with it by creating a speedy live broadcast for fans. So we created "Think Faster - World's Fastest AMA." Taking place at 130 MPH, each 30-minute episode transformed the popular online interview format, the Reddit AMA, into a live broadcast from the passenger seat of an Audi, featuring Elizabeth Banks, Issa Rae, Adam Scott and Olivia Munn. For more on Think Faster's entry, go here. The Shorty Awards honor the best of social media and are produced by Sawhorse Media, a New York-based technology startup. Sawhorse also created and runs Muck Rack, the leading software platform that helps fortune 500 companies, brands, PR agencies and journalists build relationships, monitor news and measure the impact of media.